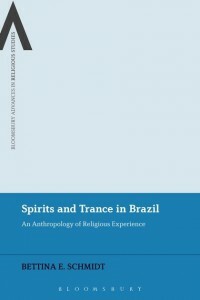 We are looking forward to Professor Bettina Schmidt’s monograph Spirits and Trance in Brazil An Anthropology of Religious Experience which will be published by Bloomsbury in 2016. The exciting new monograph examines the “social dimension of spirit possession” by exploring Afro-Brazilian religions such as Candomblé and Umbanda and spiritism. Drawing from ethnographic research carried out by Prof. Schmidt in São Paulo, Brazil, the book includes accounts by individuals discussing their personal experiences of possession. From embodiment and agency to social stratification, the book tackles several sociological themes that are entwined with these experiences. For example, gender and spirit possession are considered; particular attention is paid to the debate regarding the predominance of women in possession rituals in Brazil. Mediumship as a method of communication is also discussed, and whether this could be considered a secular approach to trance. The book also includes exciting chapters that include the contemporary Mind/Body dualism debate, the Agency of Mediums, and Spirit Possession and the Brain. In 2010 Professor Schmidt carried out fieldwork in Brazil that included “participant observation of possession rituals”. 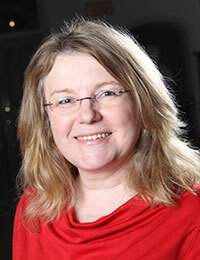 In the same year she co-edited a book with Dr Lucy Huskinson (Bangor University) titled Spirit Possession and Trance New Interdisciplinary Perspectives. The edited volume considered spirit possession from a variety of contexts worldwide. Professor Jean La Fontaine (Professor Emeritus, LSE), in her review of the book, particularly commended the ethnographic detail, adding that it provided “rich material for these important debates”. Those of you who are interested in Professor Schmidt’s research will be pleased to hear that she teaches on several Undergraduate and Postgraduate courses. These include the first-year module ‘What is Religion?’ and the second-year module ‘Living Ancestors and Talking Trees: Indigenous Religions Today’, which connects directly to Prof. Schmidt’s work in Brazil.